There are bad dads. And then there's Rutherford Van Chelton? They went looking for Woody's birth father...and they're about to wish they didn't! Woody's pop has left a long trail of broken promises and broken bottles behind him across the decades. 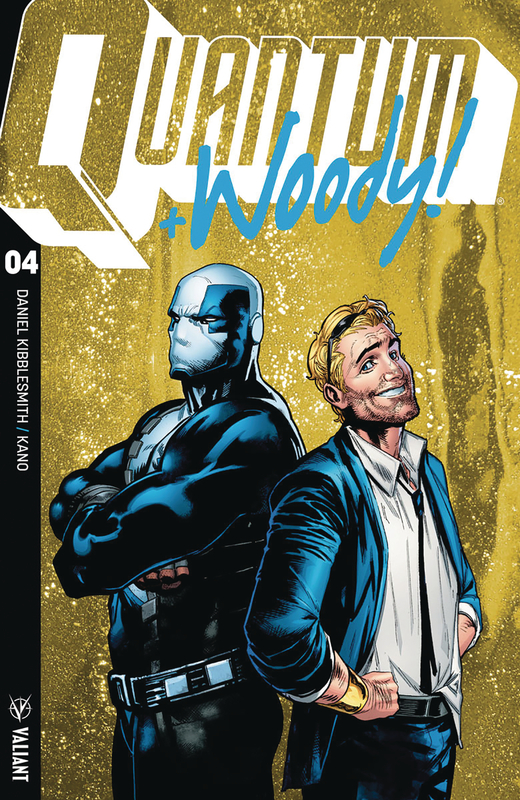 Now, Quantum and Woody - the world's worst superhero team, currently estranged - are thousands of miles from home, riding shotgun across Australia with the human dive bar that forever changed the course of both their lives. Will the senior Van Chelton convert his long-lost son to his hard-traveling ways? And can Quantum take on an older, smarter, and slightly more inebriated version of his unpredictable partner? Valiant's high-energy superheroes are hitting the road for a once-in-a-lifetime family reunion as rising star Daniel Kibblesmith (The Late Show with Stephen Colbert) and eye-popping artist Kano (Daredevil) bring 'KISS KISS, KLANG KLANG' south of the equator!